The Corona Hurricane by Fink Living creates beautiful light patterns through the interwoven metal pieces that are hand-crafted by skilled artisans in Germany. 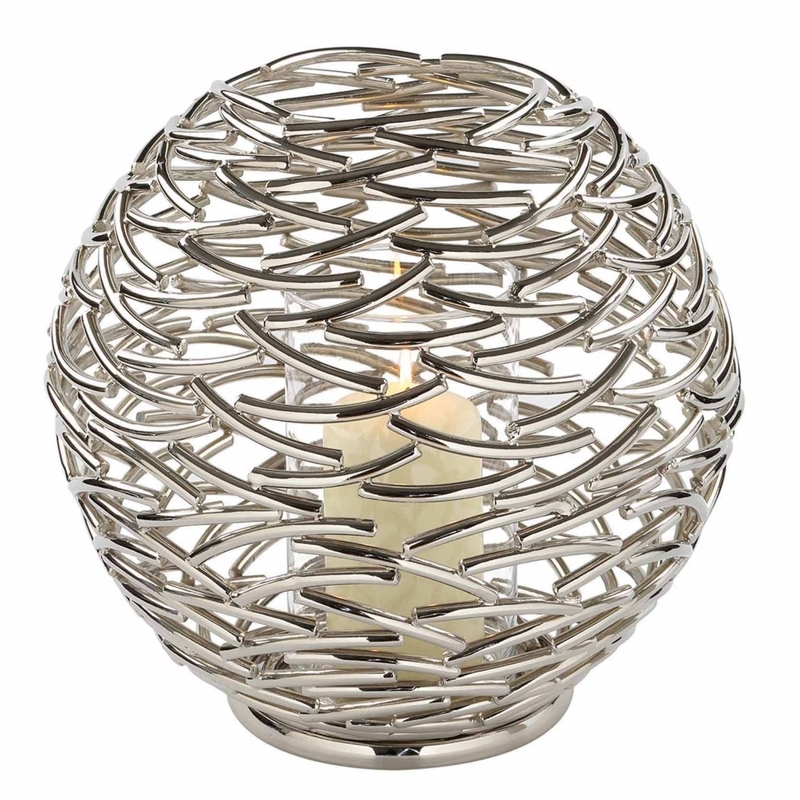 Finished in a polished nickel, this classic shape has a contemporary edge that will suit both modern and traditional interior schemes. Each lantern is entirely unique creating a luxurious ambience in a hallway, porch or living space. Style with a singular pillar candle in either a pure white or coloured hue. The Corona Hurricane lantern is the perfect gift for the holiday season. Available in three complementary sizes.